A new Google Patent has been filed to identify erroneous business listings and take actions against them. Local business listings are a great way to promote your business for free on Google. Some business owners take undue advantage of this facility to list their business under a different location which is close to some famous place or buildings. 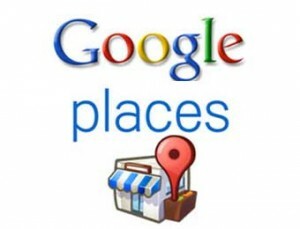 This helps in getting more user attention and sales as people are able to find the business while searching for famous places and buildings on Google places. To stop this malpractice from happening, Google recently filed a patent to identify these sort of erroneous business listings and flag them for inspection to see if they truly exists on the desired location. Under the proposed system, areas are divided into cells and each cell may represent a geographical region. 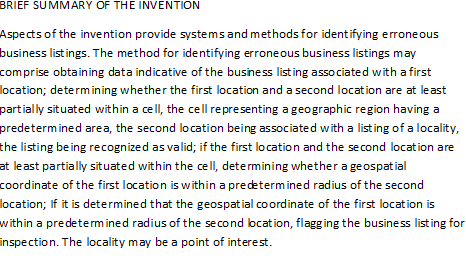 It is determined whether the geospatial coordinate of the first location is within a predetermined radius of the second location under the same cell and if found to be true, the first location is flagged for inspection.